Midnight Beauty is a stunning Ficus with very dark green leaves and a vigorous bushy growth habit. Midnight Beauty makes an ideal indoor feature plant due to its tolerance of low light and superb resistant to leaf drop. It is an excellent plant for pots and containers in outdoor areas or around pools. This specimen has been trained as a lollipop and will require regular pruning to maintain the shape. 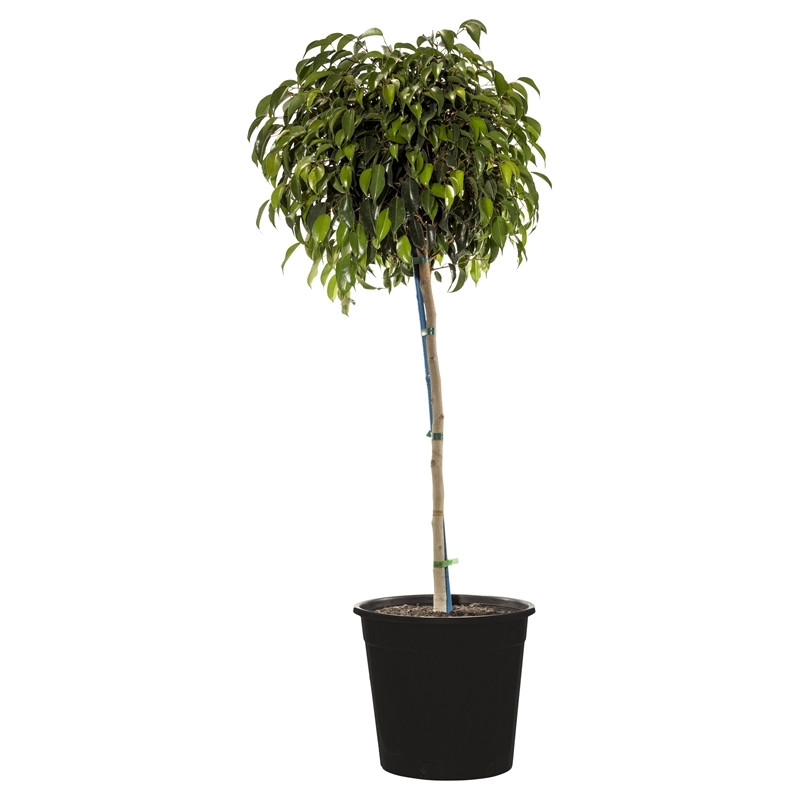 If kept in a pot, Ficus Midnight Beauty will not grow over 2 metres high. Stunning feature plant indoors or out. This specimen is already trained as a lollipop topiary.